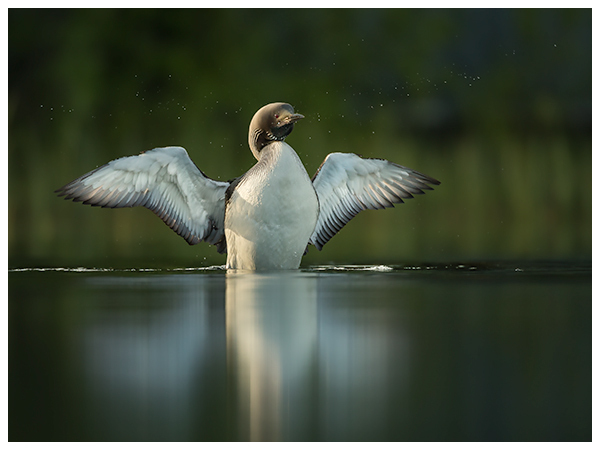 I am was really pleased when I was told that one of the images that my club (Leicester Forest Photographic Society) used in the GB Cup of the Photographic Alliance of Great Britain (PAGB) was awarded the "Chairmans Nature Award"
The winning image is of a Black Throated Diver and was taken in Finland in 2014. This image has become one of my most successful images in terms of competition use. It has over 20 FIAP acceptances along with a Gold medal in the Bristol Salon, and a Silver medal at the Smethwick International. It is also part of my successful ARPS panel with the Royal Photographic Society. Leicester Forest often use my images as part of many of the inter club competitions that they enter with other clubs and other national competitions run by the Photographic Alliance of Great Britain. The club has had reasonable success in these and my images have done fairly well. 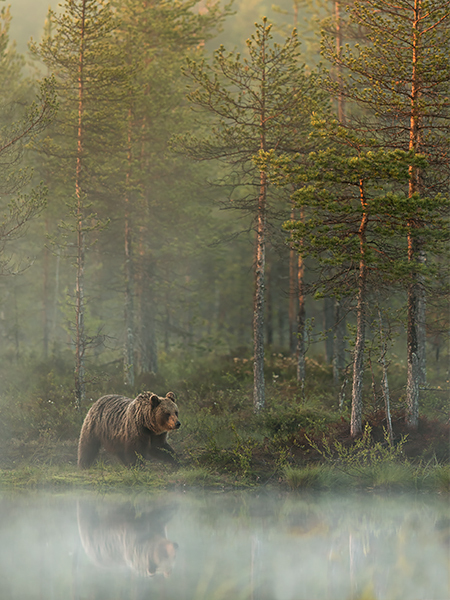 One of the best results was in 2015 when I won the Best mammal image in the GB cup for one of my European Brown Bear images. Leicester Forest often use my images as part of many of the inter club competitions that they enter with other clubs and other national competitions run by the Photographic Alliance of Great Britain. The club has had reasonable success in these and my images have done fairly well, indeed last year I won the Best mammal image in the GB cup for one of my European Brown Bear images. This year, the club asked me to help with the selection panel and we chose what we thought was a good set of images to represent the club. In the nature section, my images id reasonably well, I was awarded 14 out of 15 for one image and 15 out of 15 for another. In the Open section, my images did not fair so well. two images were each awarded 8 out of 15, which was a particularly low score. This is really interesting, because one of these images was awarded 15/15 in Smethwick and received an award and the other was awarded 14/15 in Bristol which was judged on the same day. Obviously each individual judge has different thoughts and judges as they think best, but the wide variety of scores did make me an several other smile. It also lead to some interesting comments on judging standards at the club meeting earlier in the week. 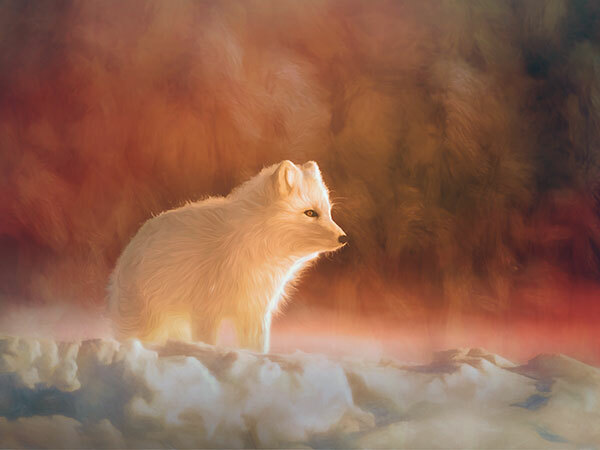 Above: "Arctic Fox In the Moonlight"
A score of 15 out of 15 and awarded a ribbon at Smethwick International exhibition of photography. but a score of 8 out of 15 in the GB cup of the PAGB. it has also been accepted in about a dozen other internationals.